Victron’s ultrafast MPPT technology harvests more energy from the solar panels, are an incredible 98% efficient and use a sophisticated programmable battery charging algorithm to deliver more charging power to the batteries. 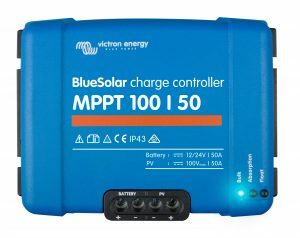 The most comprehensive and affordable range of MPPT solar charge controllers on the market, Victron BlueSolar solar charge controllers work with all types of solar installations. The entire range can be used on 12V and 24V systems, with the system’s voltage automatically recognised by the controller. Some models can also be used in systems up to 48V. Combined with Victron’s Bluetooth LE Dongle and the free VictronConnect App, users can easily configure their BlueSolar MPPT controller and conveniently monitor their solar charging system on a smartphone or tablet. The new Victron BlueSolar MPPT solar charge controllers are available nationwide through Lusty & Blundell’s network of marine dealers. Product and dealer information is available from Lusty and Blundell on (09) 415-8303 or at www.lusty-blundell.co.nz.